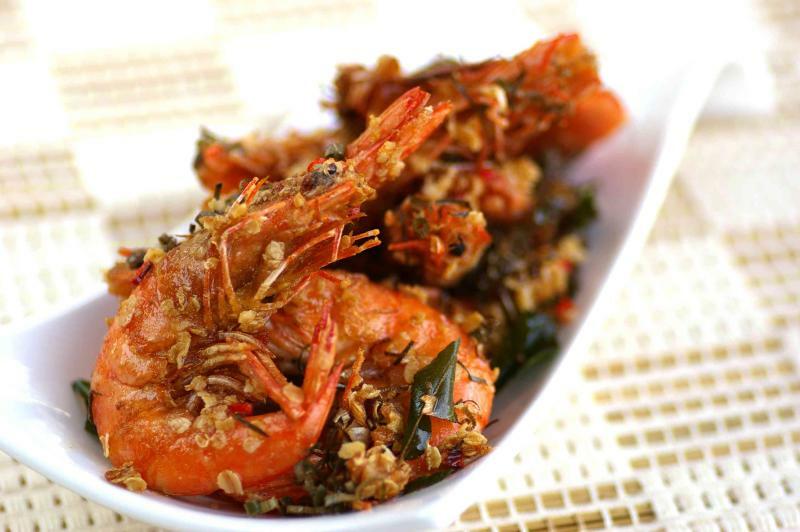 Check out Chef Amy Beh’s fragrant lemongrass prawns recipe. You’re in for a treat with three hearty recipes with big, big flavors. Sprinkle a little cornflour over the prawns. Heat enough oil in a wok and deepfry prawns until just cooked. Dish out and drain well. Heat a clean wok and add in butter and oil. Stir-fry shredded pandan and kaffir lime leaves, curry leaves, lemongrass, and bird’s eye chillies until aromatic. Add in oats, seasoning and prawns. Toss, and fry briskly until fragrant and well combined. Dish out and serve hot.